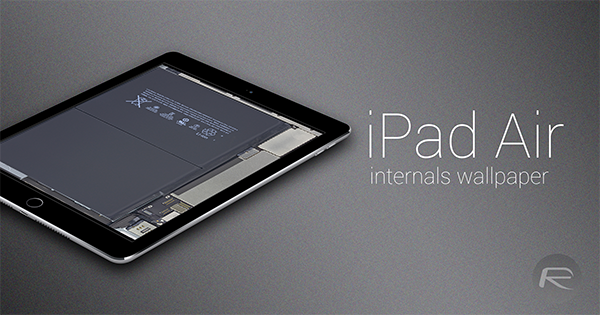 Whether you’re feeling a bit geeky, or are simply curious as to the inner workings of your iPad (which, by default, renders you a geek anyway), you can now enjoy a high-resolution wallpaper showcasing your iPad Air’s insides. Theoretically, the images offer a glimpse of what your device would look like if the display component were completely removed, and as well as being pretty darned cool, it also serves as a reminder of how meticulous and intricate the interior build quality is of this product. Just like the MacBook Air, iPhone 6 and all of the other super-svelte gadgets before it, the iPad Air and iPad Air 2 demonstrate a master class in bundling high-end hardware into relatively little real estate. 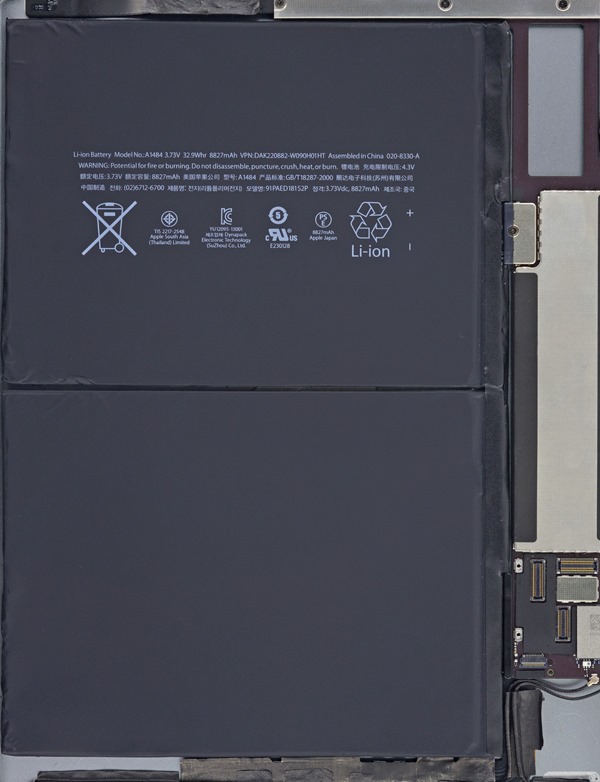 Despite the iPad Air 2 being as sleek as it is, it remains a great performer, and if you’ve a certain level of appreciation for the work that goes on “under the hood“, then iFixit’s high-res snaps of the iPad Air’s internal hardware will save you the trouble of opening yours up. As well as being slim, relatively light and powerful, the iPad Air is very easy on the eye, and as iFixit’s tear-down shows, it’s not so bad to look at when stripped of its fascia. The battery, as one might imagine, commands the lion’s share of the visible space, but you can also gawk at a couple of other components on show. To allow users to pick a wallpaper that truly reflects their device, there are snaps of both the Wi-Fi and LTE models, although as you can see, the difference between the two is fairly negligible. Both antenna and SIM slot are the obvious discrepancies, but even if you’re rocking the Wi-Fi model, we won’t tell if you decide to set the cellular blueprint as your background. 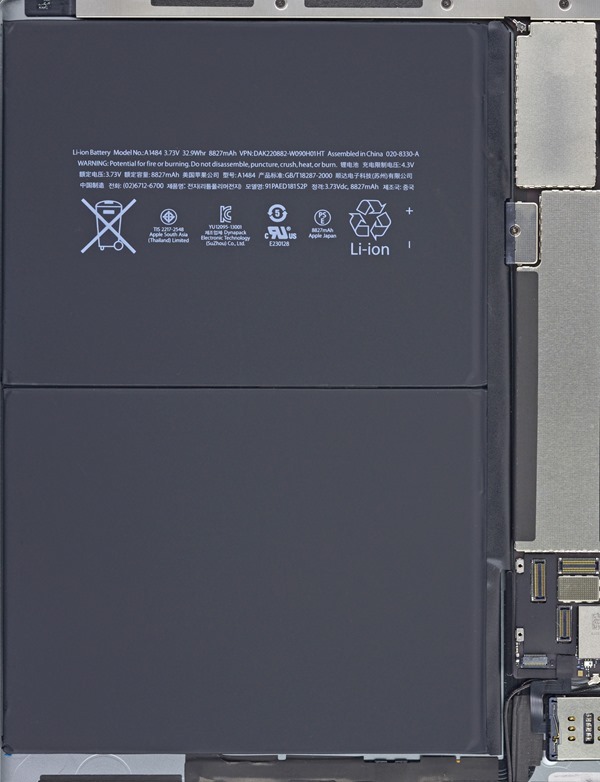 In fact, if you’ve an eye for attention to detail, you’ll notice that the material keeping the battery in place is stuck down much more cleanly on the photos taken of the LTE model, and with this in mind, we’re going to live on the edge and download the snap of the LTE model for our Wi-Fi iPad here. So, if you’ve wondered what was going on beneath your iPad’s polished exterior, grab these wallpapers now, and as iFixit recommends, be sure to enable ‘Reduce Motion’ for optimal realism (Settings > General > Accessibility > Reduce Motion). I wish people would stop using “x-ray vision” as a term, it’s rather misleading.